Meet the Meet the Grungy Gentleman x Timberland Collection in this video campaign with models Jason Gorski, Jordan Hagel, Scott Bernard and Jyran Terrell. 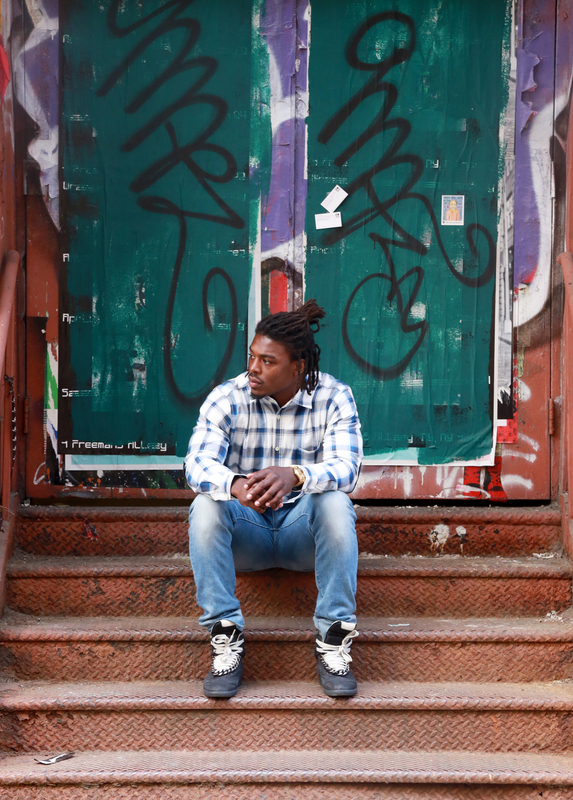 The Grungy Gentleman x Timberland runway collaboration featured three co-designed style: two 6” Premium Boots and one athletic-inspired Killington Oxford. The 6” Premium Boots feature a translucent ice-bottom sole and the oxfords showcase Grungy flair boasting a speckled glow-in-the-dark sole. Each shoe is visibly imprinted with the signature Grungy Gentleman six-stripe insignia, and the tongues have been customized with six stripes. Grungy Gentleman x Timberland footwear officially launched with a release event during NBA All-Star weekend in New Orleans, and available for purchase on Friday, February 17th in Timberland stores and on Timberland.com. Meet the Grungy Gentleman x Indiana University Collection in this video campaign with models Clayton Straker, Peter Argue and Mahmoud Alhumoz. 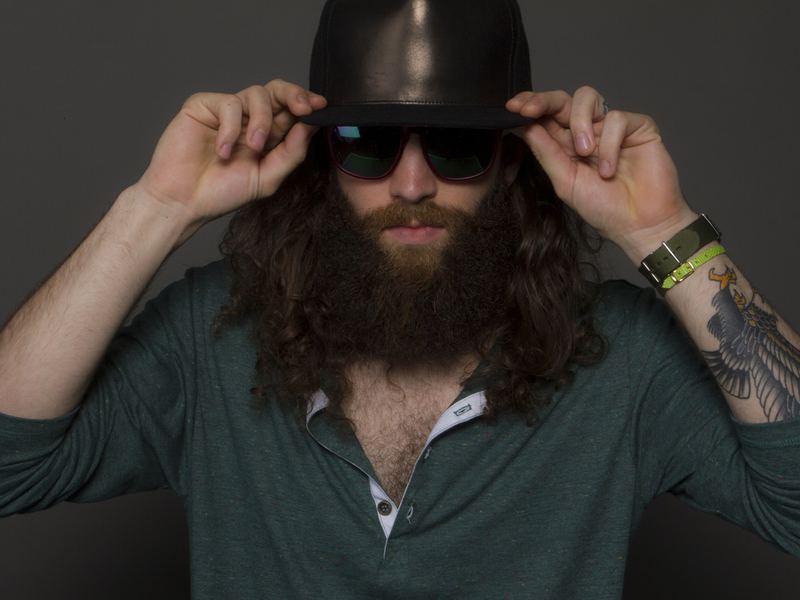 As an Indiana University alumni, Jace Lipstein, designer and founder of Grungy Gentleman, designed a collection for his fellow Hoosiers. The Indiana University Collection debuted at Grungy Gentleman's F/W 17 runway show during New York Fashion Week. Featuring designs in Indiana's crimson and cream colors with Grungy Gentleman's signature six stripes, the collection will include a short sleeve t-shirt, long sleeve t-shirt, sweatshirt, hoodie and sweatpants. Meet the Grungy Gentleman x New York Rangers Collection in this video campaign with models Jordan Hagel, Jean Francois Poirier, YahRock Bates and Jake Filling. Grungy Gentleman x New York Rangers collection debuted at Madison Square Garden on Saturday, February 4th following his NYFW Menswear Runway Show. 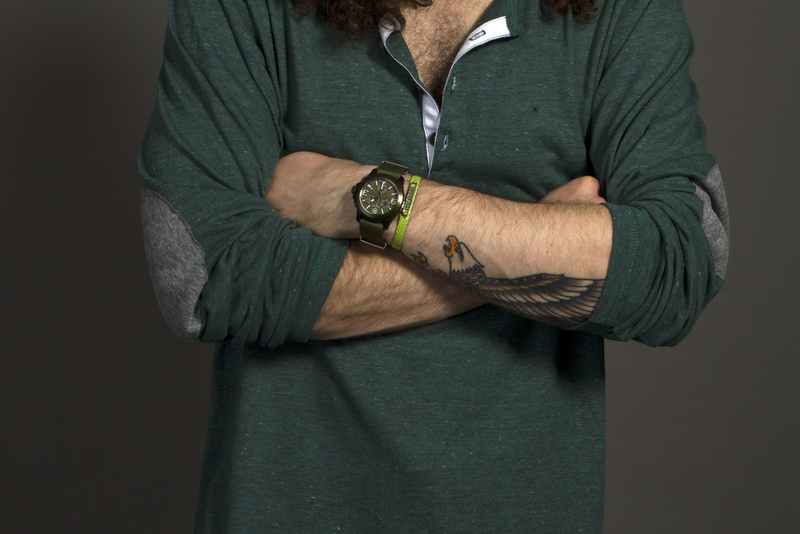 The line boasts everything from short sleeve t-shirts, long sleeve t-shirts, hoodies, bomber jackets to sweat pants. Design is clean and non-traditional, yet made cohesive through the brand’s trademark six-stripe design incorporated throughout. The team’s color palette combines mixed integration of luxury fabrics and a sporty vibe to lend the collection an inspired and rebellious feel, and as always, fit to suit the gentleman. 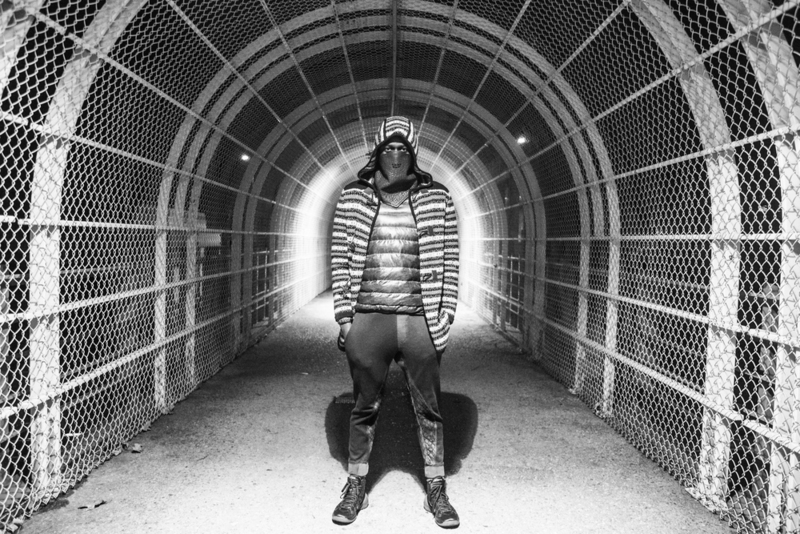 Meet the Grungy Gentleman x New York Knicks Collection in this video campaign with models Phil Sullivan, Jason Gorskie and Rashad Irwin. Grungy Gentleman’s signature six-stripe insignia made its way to Madison Square Garden for the launch of a “Special Anniversary Collection by Grungy Gentleman.” Exclusive to the world’s most famous arena, Jace Lipstein launched Grungy Gentleman x New York Knicks collection at Madison Square Garden on Saturday, February 4th following his NYFW Menswear Runway Show. The line boasts everything from short sleeve t-shirts, long sleeve t-shirts, hoodies, bomber jackets to sweat pants. 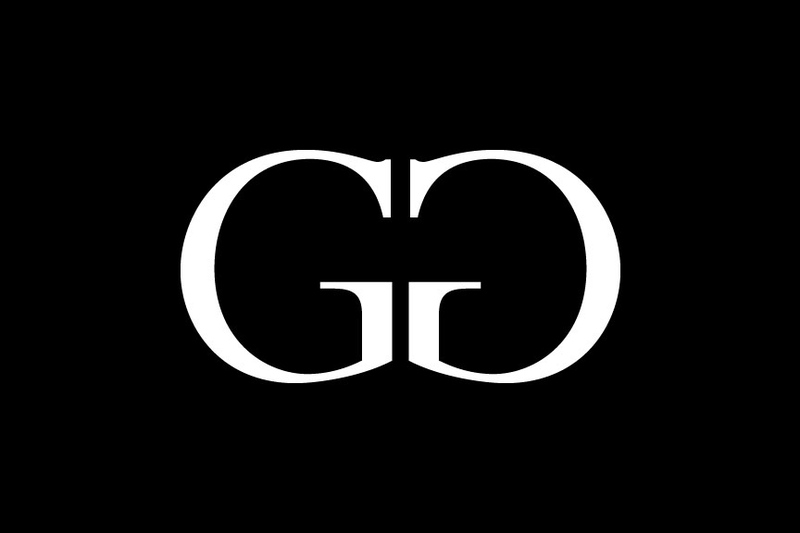 Design is clean and non-traditional, yet made cohesive through the brand’s trademark six-stripe design incorporated throughout. The team’s color palette combines mixed integration of luxury fabrics and a sporty vibe to lend the collection an inspired and rebellious feel, and as always, fit to suit the gentleman. Grungy Gentleman debuted Fall/Winter 17 'The Mecca' with a runway show in TriBeCa on February 2nd during New York Fashion Week Men's. This season's collection featured product collaborations with Timberland, New York Knicks , New York Rangers, Indiana University and Mitchell & Ness. Grungy Gentleman snapped our buddy Walter Savage of Soul Artist Management for our S/S 17 campaign outside the W Hotel in NYC. He also walked the catwalk for us at New York Fashion Week in this look. 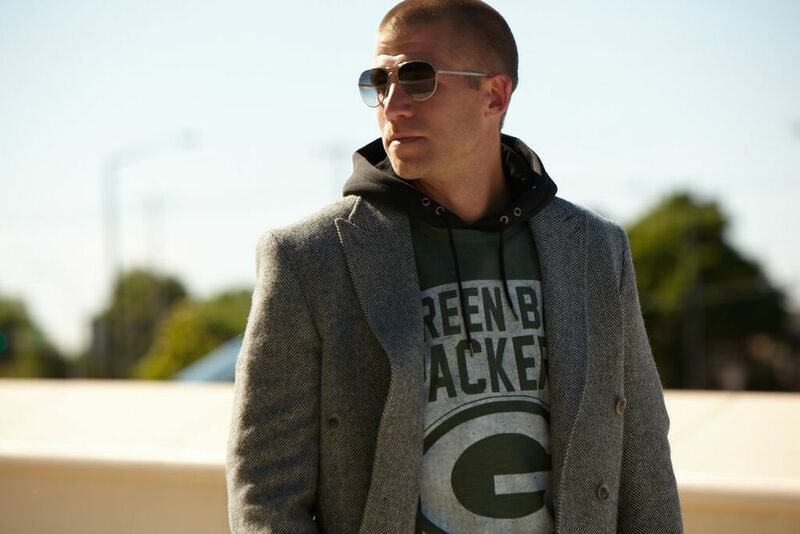 Grungy Gentleman touched down in Green Bay, Wisconsin this summer to style a campaign most sports and fashion kids dream about. 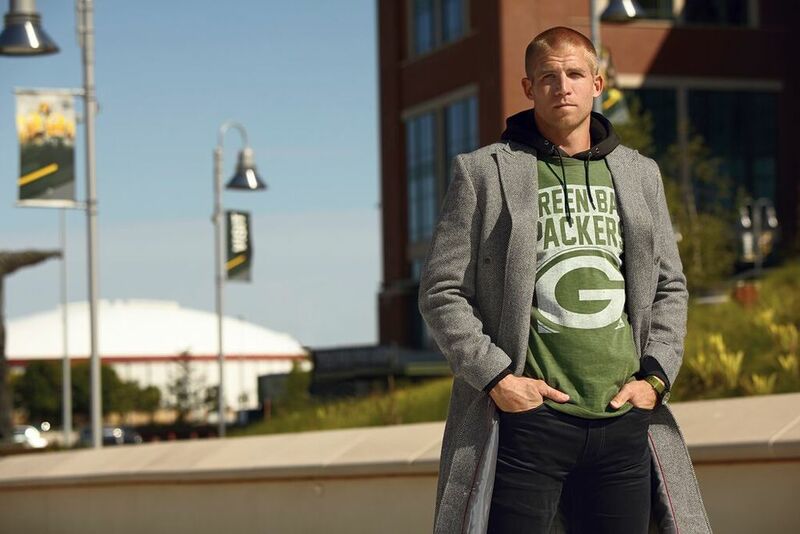 This season's NFL apparel campaign was shot at Lambeau Field and iconic sites around the city with Green Bay Packers Wide Receiver Jordy Nelson. 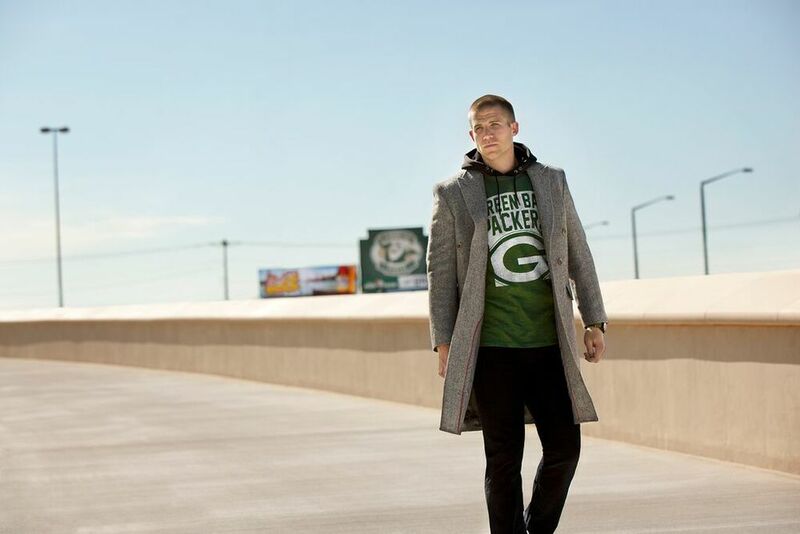 The looks were featured in Sports Illustrated and GQ for Nordstrom and Kohl's for the 2015 NFL Apparel campaign. 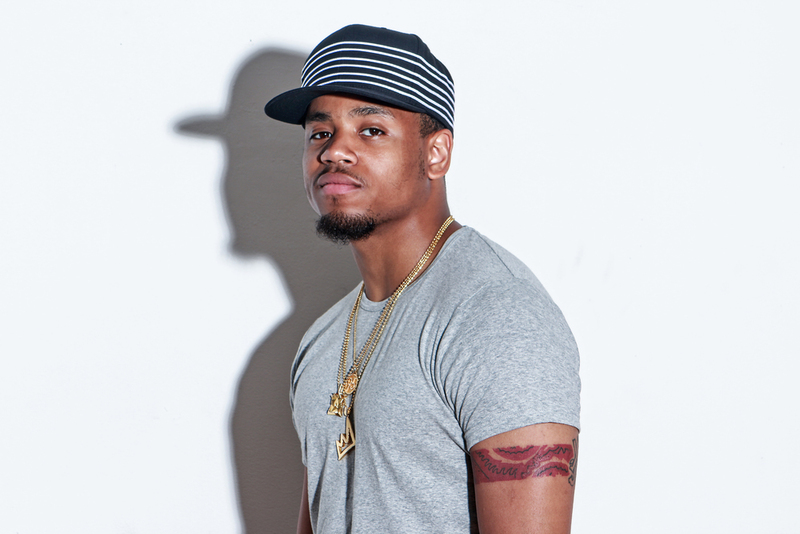 Grungy Gentleman snapped our friend Mack Wilds in our collaborative six stripes hat with Mitchell & Ness. The relationship expanded as he also walked in our F/W 16 runway show and BET How to Rock Kicks. Grungy Gentleman collaborated with NYC agency Red Model Management on a fashion shoot highlighting our design collaborations with HSTRY, Muttonhead and Cohesive & Co. Grungy Gentleman collaborated with Los Angeles agency VISION on a fashion shoot highlighting our design collaboration with Cohesive & Co. 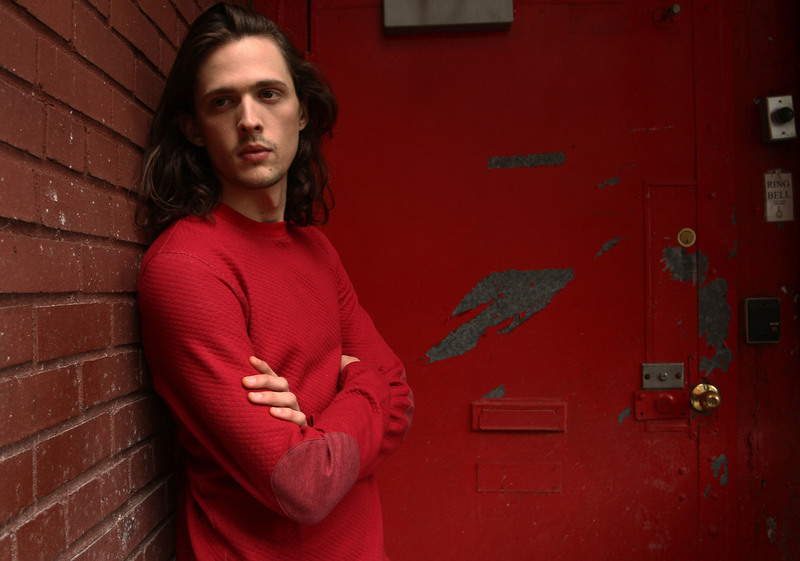 Grungy Gentleman collaborated with NYC agency IMG Models on a fashion shoot highlighting our collaborative collections with HSTRY and Cotton Citizen. Grungy Gentleman collaborated with Los Angeles agency Next Management on a fashion shoot highlighting our design collaboration with Cotton Citizen. Grungy Gentleman styled a VIBE print editorial highlighting our designs. Grungy Gentleman collaborated with Los Angeles agency Two Management on a fashion shoot highlighting our design collaboration with Cotton Citizen. 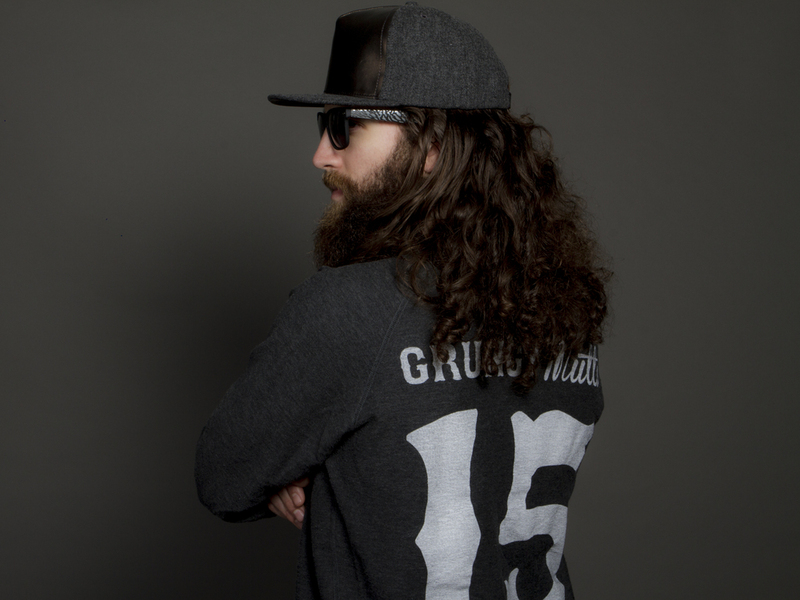 Grungy Gentleman collaborated with NYC model Randy LeBeau on a fashion shoot highlighting our designs. 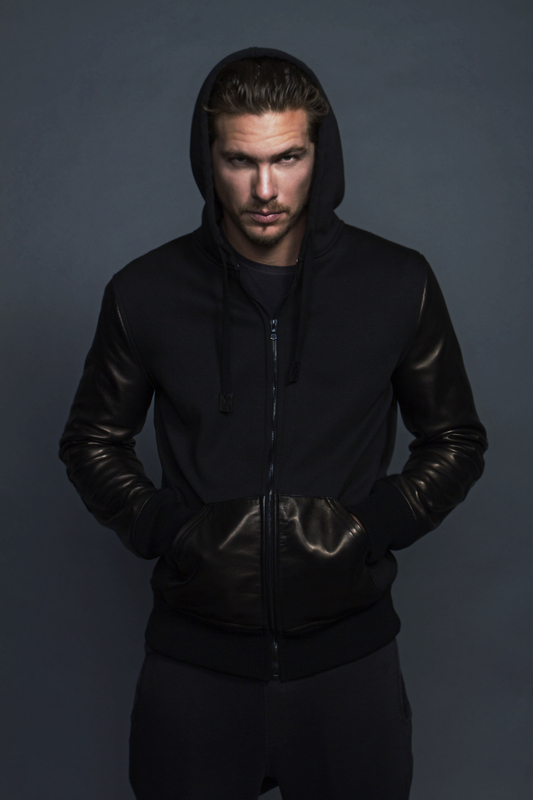 Grungy Gentleman collaborated with NYC agency Ford Models on a fashion shoot highlighting our designs. 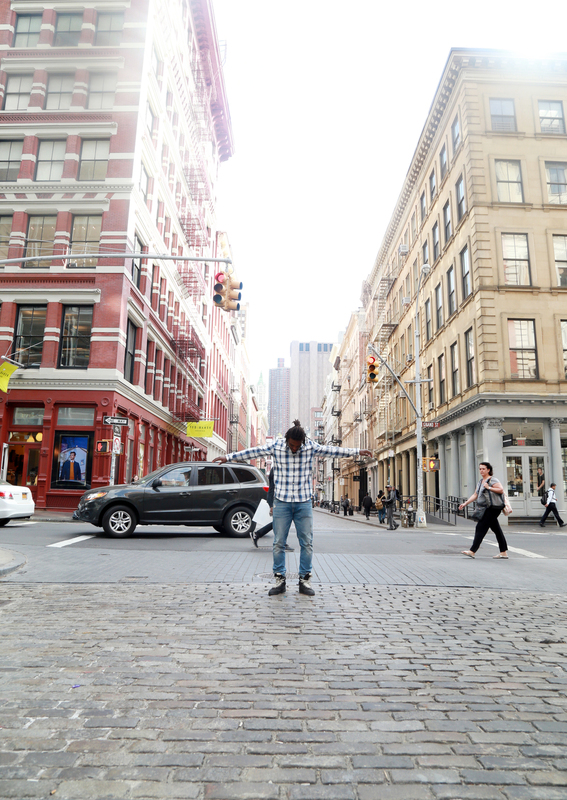 JT Thomas posted up in SoHo, NY rocking a Grungy Gentleman White Blue All Season Flannel Shirt.